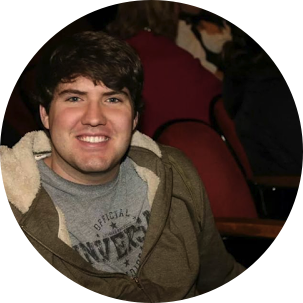 Home » BillyJoynt18 » Trends18 » Something Rotten will play Detroit’s Fisher Theatre, September 25 – October 7, 2018! 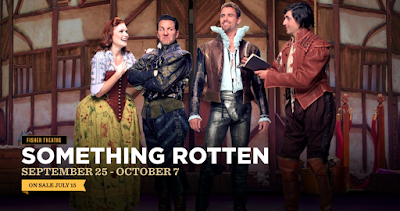 Something Rotten will play Detroit’s Fisher Theatre, September 25 – October 7, 2018! The completely original new musical Something Rotten!, directed and choreographed by Tony Award winner Casey Nicholaw (The Book of Mormon, Aladdin), with music and lyrics by Grammy Award winner and Tony Award nominee Wayne Kirkpatrick and Golden Globe Award and Tony Award nominee Karey Kirkpatrick and a book by Tony Award nominees Karey Kirkpatrick and best-selling author John O’Farrell, will play Detroit’s Fisher Theatre, September 25 – October 7, 2018. Tickets for Something Rotten! start at $35 and go on sale Sunday, July 15. Purchase tickets online at www.broadwayindetroit.com or www.ticketmaster.com, or by phone at 800-982-2787. Starting Monday, July 16, tickets may be purchased at the Fisher Theatre box office. Nominated for 10 Tony Awards, including Best Musical, Something Rotten! is “a deliriously entertaining new musical comedy that brings down the house!” (New York Post). The award-winning design team of Broadway veterans includes Scott Pask (scenic design), Gregg Barnes (costume design), Jeff Croiter (lighting design), Peter Hylenski (sound design), Josh Marquette (hair design), Phil Reno (music direction / conductor), Glen Kelly (arrangements), Larry Hochman (orchestrations), Steve Bebout (associate director), and casting by Telsey + Company/Bethany Knox, CSA. From the director of Aladdin and co-director of The Book of Mormon and the producer of Rent, Avenue Q and In the Heights, this hilarious new musical comedy tells the story of brothers Nick and Nigel Bottom, two playwrights stuck in the shadow of that Renaissance rockstar Will Shakespeare. When a soothsayer foretells the next big thing in theatre involves singing, dancing and acting at the same time, the Bottom brothers set out to write the world's very first MUSICAL! With the most singing, the most dancing and the most gut-busting laughs on Broadway, it's something wonderful... something for everyone... It's Something Rotten!, "the funniest musical comedy in at least 400 years" (Time Out New York)! Follow Something Rotten! on Twitter: @RottenBroadway, Facebook, and Instagram. • Special open captioned performance on Sunday, September 30 at 7:30 p.m.
Tickets for Something Rotten! start at $35 (includes facility and parking fees) and go on sale Sunday, July 15. Tickets can be purchased online at www.broadwayindetroit.com or www.ticketmaster.com, and by phone at 800-982-2787 Starting Monday, July 16, tickets can also be purchased at the Fisher Theatre box office. A limited number of premium seats will be available through Ticketmaster and at the Fisher Theatre box office. For group sales (12 or more) please call 313-871-1132 or email groups@broadwayindetroit.com. Tickets for the open captioned performance may be purchased in person at The Fisher Theatre box office or by phone at 313-872-1000, ext. 0. Performance schedule, prices and cast are subject to change without notice. For more information, please visit www.BroadwayInDetroit.com.